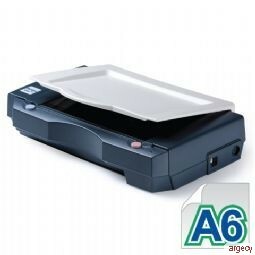 The Avision AVA6 Plus is a slightly larger version of the AVA6, supporting documents up to 10.5 x 17.2cm in size. The extra width allows even greater compatibility of documents, and accommodates all known passport sizes. The AVA6 Plus is one of the few compact scanners equipped with CCD opticalsensors rather than CIS technology. This enables you to scan credit cards and other types of document that have embossed characters. It also means you get even higher quality images. For quality that comes in a compact package and better compatibility, you can't go wrong with the AVA6 Plus.